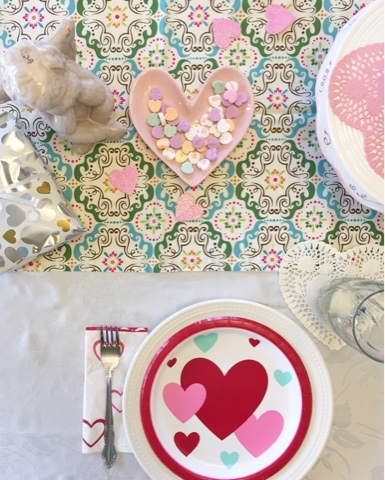 When we think of Valentine's Day, we typically think of romantic couple dates, proposals, flowers, chocolate, and wine. But Valentine's Day doesn't have to be just about that one special someone in your life. It can be a day to show some love to friends, family members, and other special people in your life as well. If you have kids at home, why not do a little something special for them? And what about your parents, an elderly couple you know, your kids' teachers, or even a widow who doesn't have anyone to do those special things for them? I say we take this holiday a step further and spread the love all around! Giving Valentine's Day gifts to my closest loved ones is nothing new for me. Sometimes we may also go out to eat, but other times I may decide to make a special meal for them at home....especially when the holiday falls during the week. Tonight I'm cooking a nice meal to share with the Mister, my son who's home right now, and my mom. My dad passed away nine years ago, so I always try to do something special for her to ease the pain on this holiday. I won't bore you with the details of the meal, which will consist of crock pot chicken, sauteed squash, organic brown rice, and roasted cauliflower. But I did want to share a recipe with you for the dessert I'm making. 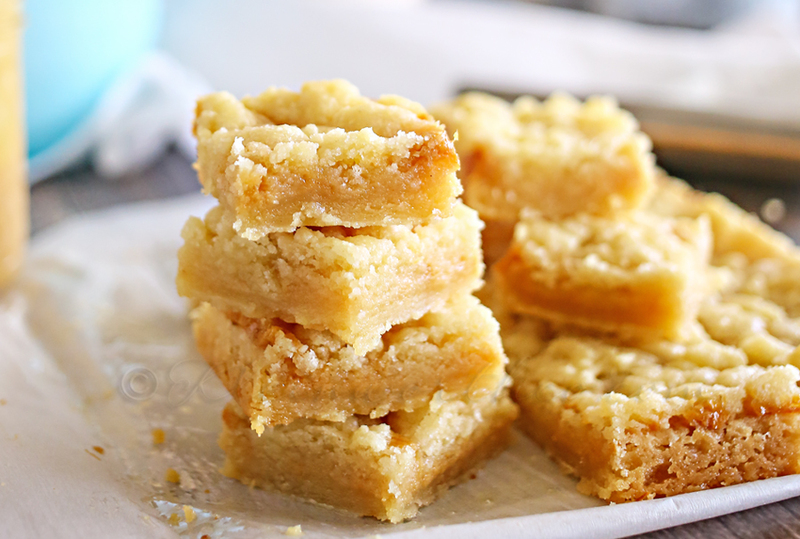 Back around Christmas, the Mister saw this recipe on Facebook for Caramel Butter Bars. I never got around to making it, so I decided Valentine's Day would be a good time to try it. I'm pretty sure he's going to love it! 2. In a large bowl, combine the butter and sugars. Using mixer on medium speed, beat together until creamy. Add the vanilla and beat until combined. Sift the flour into the butter mixture and beat on low speed until a smooth soft dough forms. 3. Spray a 9x13 inch baking pan lightly with non-stick cooking spray. Press one-third of the dough evenly into the pan to form a bottom crust. Wrap remaining dough in plastic wrap and chill in refrigerator. 4. Bake crust until firm and the edges are a pale golden brown, approximately 20 minutes. (I had to bake about 30 minutes). Transfer pan to a wire rack and let cool about 15 minutes. 5. While the bottom crust is baking and the remaining dough is chilling, make the caramel filling. Place the unwrapped caramels in a microwave-safe bowl. Add the cream. Microwave on high for 1 minute. Remove from the microwave and stir until smooth. If caramels are not completely melted, microwave on high for 30-second intervals, stirring after each interval, until smooth. 6. Once the caramel is melted, add in your 1/2 tsp vanilla and stir until combined. 7. Pour the caramel filling over the crust. If you are going to salt the caramel sprinkle it on caramel layer now. 8. Remove the remaining chilled dough from the refrigerator and crumble it evenly over the caramel. (I'm not the best in the world with fractions. Don't know if I didn't use enough dough for the bottom crust or what, but it didn't need quite all the rest of the dough crumbled on top....so I had a little left. That's ok....some for me to eat lol). 9. Return the pan to the oven and bake until the filling is bubbly and the crumbled shortbread topping is firm and lightly golden, about 30 minutes. (Again, I had to bake a little longer to get the top done). 10. Let cool before cutting into the squares. I hope this day is filled with sweet surprises for you as well. Be sure to let those you love know how much they mean to you. Do something special for them....even if it just means spending a little quality time with them today. Sometimes that means more than any gift you could give.